Jerry Webster has a master's in Special Education, a post-baccalaureate certificate in Autism, and more than 20 years of classroom experience. Regular Education is the term often used to describe the educational experience of typically developing children. The content of this curriculum is defined in most states by state standards, many which have adopted the Common Core State Standards. These standards define the academic skills that students should acquire at each grade level. This is the Free and Appropriate Public Education against which the program of a student who receives special education is evaluated. General Education is used interchangeably with regular education but is preferred. It is better to speak of general education students as opposed to regular education students. Regular implies that special education students are irregular, or somehow flawed. Once again, General Education is the curriculum designed for all children which are meant to meet state standards, or if adopted, the Common Core State Standards. The General Education program is also the program which the state's annual test, required by NCLB (No Child Left Behind,) is designed to evaluate. IEP's and "Regular" Education: To provide FAPE for special education students, IEP goals should be "aligned" with the Common Core State Standards. In other words, they should show that a student is being taught to the standards. In some cases, with children whose disabilities are severe, IEP's will reflect a more "functional" program, which will be very loosely aligned with the Common Core State Standards, rather than directly linked to specific grade level standards. These students are most often in self-contained programs. They are also the most likely to be part of the three percent of students allowed to take an alternate test. Unless students are in the most restrictive environments, they will spend some time in the regular education environment. Often, children in self-contained programs will participate in "specials" such as physical education, art, and music with students in the "regular" or "general" education programs. When assessing the amount of time spent in regular education (part of the IEP report) time spent with typical students in the lunchroom and on the playground for recess is also credited as time in the "general education" environment. Until more states eliminate testing, participation in high stakes state tests aligned to the standards is required of special education students. This is meant to reflect how the students perform alongside their regular education peers. States are also permitted to require that students with severe disabilities are offered an alternate assessment, which should address the state standards. These are required by Federal Law, in the ESEA (Elementary and Secondary education act) and IDEIA. Only 1 percent of all students are allowed to take an alternate test, and this should represent 3 percent of all students receiving special education services. 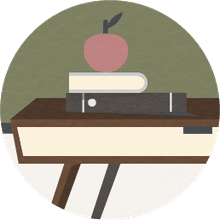 A statement in an IEP: John spends 28 hours each week in a regular education third-grade classroom with his typical peers where he receives instruction in social studies and science. What Does 'Special Education' Actually Mean? Why Happy Stakeholders Are Important in Special Education? What Are the Many Purposes of Testing? What Does Related Services Mean in Special Ed?